In Vizit 5.2, we've added the ability to export documents as PDFs with Pro annotations burned into the resulting document. 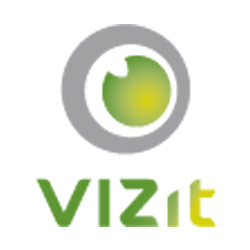 This offers functionality similar to the "Export" button found in Pro, but allows it to be performed via a call to our Vizit.API .NET assembly. The rest of this article will explain the details of how to write the specific code to export to PDF with Pro Annotations. The following example shows how to export a given document to PDF using the new GeneratePdf method. Though it is not necessary to call this method prior to calling GeneratePdf with includeAnnotations set to true, the Export namespace has a HasAnnotations method as well. The attached console application will prompt for a URL to a document as well as a path to a directory to save the resulting file. It will find the corresponding SPFile and any related annotations and save a file called "Result.pdf" to the folder specified. This console application must be run as the Application Pool account user of the target file, and must be run on a Web Front End of the SharePoint Farm.